First Corinthians provides a unique glimpse info the life of a young Christian community in a Greco-Roman environment during the early decades of emerging Christianity. It supplies a range and richness of information about the early church that is unparalleled by any other New Testament document. Much effort has gone into reconstructing Christianity at Corinth; more recently, attention has focused on the Corinthian community itself. The scholarly picture of the Corinthian Christians throughout the period of modern interpretation has been far from constant, and their profile has altered as interpretive fashions have shifted. 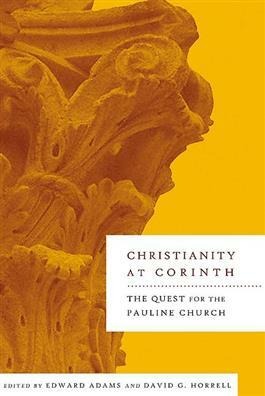 This collection of classic and new essays charts the history of the scholarly quest for the Corinthian church from F. C. Baur to the present day, and offers the reflections of leading scholars on where the quest has taken us and its future direction.